Holiday Season we meet again! Over the next 2 days I am going to share some cold hard facts and some inspiration, in an effort to motivate everyone NOT to give up on their health and self care during the holidays. I am a big numbers girl, so today I am going to start with the cold hard facts! 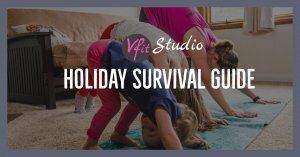 Tomorrow I’ll be coming back at you with my personal tips and habits for keeping my health in check and enjoying the holiday season (you 100% CAN have both). // Upwards of 70-80% of people will let their health and self care take a back seat the last 6-8 weeks of the year. January 1st is around the corner and there is always time to get back at it again, right? Wrong! NOW is the only time you are guaranteed. // 6-8 weeks is roughly 10-15% of your year. That is a pretty substantial amount of time. But let’s break it down even more…..
// For each week you let your fitness take a back seat, it will take you 2-3 times the amount of time to climb back to the level you were at. So the simple math – if you let your health go the last 6 weeks of the year, it will take 12-18 to get back at the level you were at. That means you are spending 3+ months of the year riding the merry go round…. not fun and that can be so discouraging, that you quit all together. //60-75% of people set New Years Resolutions come January 1st, and a very small percentage of those are still going strong on December 31st, because insanity is doing the same thing over and over and expecting different results. DON’T WAIT FOR A NEW YEAR! If you can keep your health, fitness and self care under control during life’s busiest season, then you know you can keep it up no matter what life hands you. That will make you one proud person – which also feels amazing! And let’s be real, is your life ever not crazy busy? That’s just not a good enough excuse. You don’t stop brushing your teeth and showering this time of year do you? Good habits once established, are just as hard to break as bad ones. Make fitness the strongest habit you have right now! It has always been a mission of mine to do my darndest to keep people motivated 365 days a year. You should be training for “life”, not a season. Your health is one of THE most important things – that you have a great amount of control over. During the holidays we tend to indulge a bit more in sweets, cocktail hours, later nights out and have more stress trying to get everything done, in less time. So you have more sugar, more alcohol, reduced sleep and added stress all coming your way. Exercise can’t solve all of these things, but it sure can help. Sweat is incredible detoxifying, exercise increases circulation, lowers blood pressure, gives you better sleep, pushes you to hydrate more, you want to eat to fuel your body and on and on. And DO NOT discount the magical power some resorative stretching can do for you this time of year. 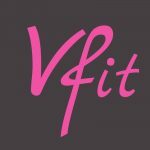 “Conscious Rest” is what we call it at the VFit Studio, and our Unwind classes are some of the most popular classes we have. Try one and you’ll see what I mean. Our team values the effects gained from stopping and slooooooowing down before you crash out on the pillow. So, there is my little spheel on why you shouldn’t let your self care and workouts take a back seat this time of year (or ever really). But knowing and doing do not always go hand in hand. So tomorrow, check back in and I will share my top 10 REAL Life tips for navigating the holiday’s without giving up on YOU. Thank You for your motivation. Finally back to working out after my foot surgery. Have been going to the Y but I am a strong supporter of your platform and encouragement! Thank you Rachele! Wonderful advice!! !